PHUKET: The introduction of an airport in Phang Nga would be a game-changer for driving tourism and economic growth in the province north of Phuket as plans for four infrastructure megaprojects are laid out in the provincial development plan. The news comes via the latest “Khao Lak Market Report June 2018” released today by hotel consultancy C9 Hotelworks. 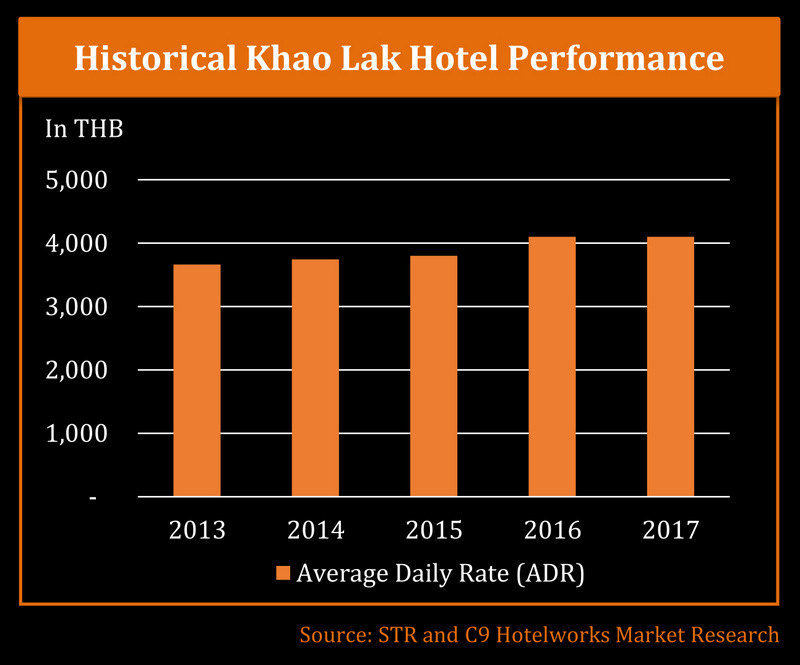 Among the current trends for Phang Nga, and specifically the tourist haven of Khao Lak, is that as of February 2018 market-wide occupancy registered 77% as average rates hit B4,100 as the Khao Lak hotels tend to focus on occupancy to grow RevPAR versus rate yields, noted the report. “Western European visitors typically are the main market feeder for Khao Lak, accounting for 65% of total international guests, while there is increasing demand in the MICE segment which comprises weddings from Europe, India, and Australia together with incentives from Singapore and Hong Kong,” the report added. Looking toward future development to drive tourism in the area is that Phang Nga’s development plans through 2021 include a four-lane motorway from Ranong, light rail from Tha Noon to Phuket, and cruise ship port expansion at Thap Lamu. “The approved investment budget for key provincial infrastructure projects is targeted at B24 billion,” the report revealed. “There are five projects and one hotel extension in the pipeline, totalling 1,347 keys. International chain hotels are rising with three branded properties in the planning stage,” it added. Bill Barnett, Managing Director of C9 Hotelworks, explained, “Given the distance to Phuket Airport, wholesale travel agents have been powerful in driving demand to the Khao Lak tourism market. They have been able to market the destination by providing one-stop services for guests by arranging their accommodation, transportation, and activities under single packages. 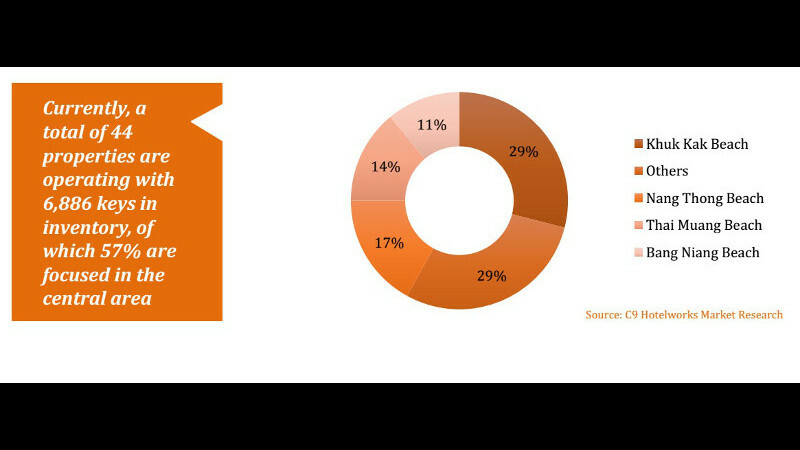 “Traditionally, wholesale travel agents especially those from the European and Australian markets are key providers. However, the number of free independent travellers (FITs) booking directly to hotels and online travel agents (OTAs) has significantly grown in the past few years,” he added. “Therefore, this trend is becoming key to hotels seeing a slow migration from traditional wholesalers to OTAs and in effect, this is impacting seasonal trends with higher occupancy in low months,” Mr Barnett said. "The next level" does that include smart wise setting up/building same time a environment eco friendly system? Or just building and not look further than financial greedy earning noses? Doing everything the wrong way as they do trash things on Phuket island? Great, so before Thais completely kill Phuket, they can get a good start on trashing the Khao Lak area. All the planned infrastructure is focused on getting more people there, but no mention of sewerage/wastewater treatment or trash management to accommodate new growth. They haven't learned anything from Phuket, except grab as many baht as you can before the golden goose is dead. Anyway, Takua Pa in PhangNga Province would be a better place for an airport as it may deserve all beaches within 150 km radius between Ranong and Phuket such as Thai Mueang, Taplamuk (Similan Islands National Park), Khao Lak, Koh Pra Thong, Khuraburi (Surin Islands National Park), as well Khao Sok National Park. Nearby Takua Pa, there are plenty of large flatty lands available and easy to built an airport with a long double runways for the largest commercial aircrafts and even for an Air force Military Base. A double-track railway for fast trains all along the coast between Ranong and Satun would be more profitable for local people, businesses and the tourism at large.